Hey everyone! Today I’m bringing you lots of Christmas cheer! I’ve partnered with some fellow friends and food bloggers and we’re each sharing a delicious recipe that you can enjoy over the holidays. Be sure to check ’em all out! My contribution is my favourite – shortbread cookies! There’s something about shortbread cookies that I love. There’s nothing fancy about ’em, but you can dress ’em up as you please. I think I love the buttery texture of them. You know me and my butter – loves it! I’ve been enjoying these from a young age and I make them every Christmas. We decorated our tree this weekend while listening to Christmas records and having a glass of vino. So fun! There’s something special about breaking out the box of ornaments and going through them. They are all so special and each brings back sweet memories. Every year I try to add special ones to our collection. This year I even bought the infamous lamp from A Christmas Story. If you follow me on Instagram, I shared a little video on my IG story. I didn’t grow up watching this movie, but hubby did and I was hooked ever since. So, anywho, onto these easy shortbread cookies. Grab a glass of cold milk and let’s get to it! Ensure that the dough is chilled before handling. If after chilling, it’s too soft too handle, just chill for another little bit. Alternatively, if you over chill, simply leave out for a bit until soft enough to form into balls. Orange chocolate was used to really amp up the chocolate flavour in these cookies. If you don’t have that on hand, regular milk (or dark) chocolate will work too. FYI—>I dipped these in Terry’s Orange Chocolate. This is not a sponsored post or anything, I just really enjoy that chocolate. Not sure if they are popular in the US, as they are around here. They are an orange-shaped ball of chocolate with individual segments and when you ‘whack’ it on a hard surface the segments release. You can get various versions of it; I used the dark chocolate version for this recipe. Don’t have or like pistachios? Crushed walnuts or pecans would work great too! And don’t forget to check out all these other delicious recipes! Hope you enjoy these Orange Poppy Seed Shortbread Cookies as much as I do! What’s something special that you love to make and what memory does it bring to mind? I’d love to hear! These easy shortbread cookies are a favourite in our home! They're not just any shortbread cookies - they're Orange Poppy Seed Shortbread! They're peppered with poppy seeds and orange zest. As the finishing touch, they are dipped in orange chocolate and sprinkled with chopped pistachios. 1 Terry's Orange Chocolate -melted (I used dark) and about 156 g of chocolate. See below. In a mixer combine corn starch, icing sugar, flour, salt, and orange zest, stirring to combine. Add butter and both extracts and blend until combined and dough is soft, about 1-2 minutes. Add poppy seeds and blend a minute or so until incorporated. Form into a ball and wrap in plastic wrap and place in refrigerator for 20-30 minutes until dough firms up a little and is easier to handle (it's soft at this point). Remove dough from refrigerator and shape into 1 inch balls. Place on parchment lined baking sheet, about 1 inch apart. Flatten balls to about 1/4 inch thick with your hand or floured fork. Preheat oven to 300F and bake 20-24 minutes or until edges are slightly golden (these cookies don't get a lot of colour). Cool on wire rack. Depending on the size of your sheet pan, you may have to bake the cookies in batches. Once cooled, dip in melted orange chocolate/butter mixture and sprinkle with chopped pistachios. 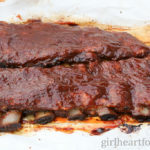 Place on wax paper lined sheet pan and let chocolate harden completely. To speed cooling/hardening of chocolate, place in freezer for about 10 minutes or until chocolate hardened. Remove and enjoy! To melt orange chocolate, chop, place in a microwave safe bowl with 1 Tbsp of unsalted butter and heat for about 30-45 seconds at a time, stirring in between, until chocolate is just melted. This looks really delicious and I love the flavors. Will definitely try this soon. This would be my first baking recipe to follow this 2018. Thank you for sharing. Now these are my kind of cookies. I love shortbread and I love orange and poppy seeds together. I myself tried a new recipe for orange poppy seed muffins recently. Also your photography got me hooked. What a lovely show of contrasting colors!! Thank you so much, Neha 🙂 Shortbreads are my favourite! We have one of those leg lamp ornaments too! My husband and has family loves that movie. It has to be on every Christmas at my house. “Fragile” is reference throughout the year around here. These cookies are the sweetest little things, Dawn! With the orange zest, poppy seeds, pistachio, and orange chocolate, there is so much interest and flavor in one little cookie. Pinning. Shortbread cookies are my favourite – brings back happy childhood memories. We have this old recipe that has been handed down for generations and I loved baking with my mum in the kitchen. She really knew how to make Christmas a special event for us kids. Definitely, have to give your Orange Poppy Seed Shortbread Cookies a try, they look so pretty & I love orange/chocolate flavoured everything 🙂 Have a nice weekend, Dawn! Those are the best recipes, aren’t they?? Thanks Miriam! Hope you like ’em 😉 Have a nice weekend too! I only started watching (and appreciating) A Christmas Story a couple of years ago, Dawn! Hilarious! I love shortbread cookies and you are so creative to add orange and poppy seed. And of course, chocolate! Cheers! Isn’t it?? Such a classic! I laugh thinking about it and ‘fragile’? OMG! Haha! Thanks Rachelle! Thanks Adina! It’s a delicious combo 🙂 So nice to have sweet memories like that – those are the BEST! This looks like an amazing cookie! I love the burst of orange. Orange zest adds so much flavor and I love the smell when you are zesting it! Maybe I can make that into a new perfume! 🙂 Orange and chocolate is a perfect pairing and this looks just perfect for a holiday cookie tray! Thanks Kathy! I really love it too!! A perfume is a brilliant idea 😉 Hope you’re having an awesome week!